You'll be £20.00 closer to your next £10.00 credit when you purchase 1545: Who Sank the Mary Rose?. What's this? The raising of the Mary Rose in 1982 was a remarkable feat of archaeology and her subsequent preservation and display at Portsmouth a triumph of technical skill and imagination. She is more than a relic, however. She has a story to tell, and her sinking in the Solent in 1545, when under attack by the French, and the reasons for it, have intrigued historians for generations. With the benefit of access to her remains, archaeologists have been able to slowly unravel the mystery of her foundering on a calm summer’s day in July 1545. This new book by one of the country’s leading experts on the Mary Rose contains much that is published for the first time. It has the first full account of the battle in which Henry VIII’s warship was sunk, and tells the stories of the English and French admirals. It examines the design and construction of the ship and how she was used, and develops themes begun when he was earlier commissioned by the Mary Rose Trust to write the multi-volume history of the ship. He shows for the first time conclusively that the French fleet arrived unexpectedly to seize the Isle of Wight and Portsmouth a day later than was once believed, that the many bodies found in the wreck reflect her at action stations, and that the ship had had an extra deck added and was therefore more unstable than was previously thought. 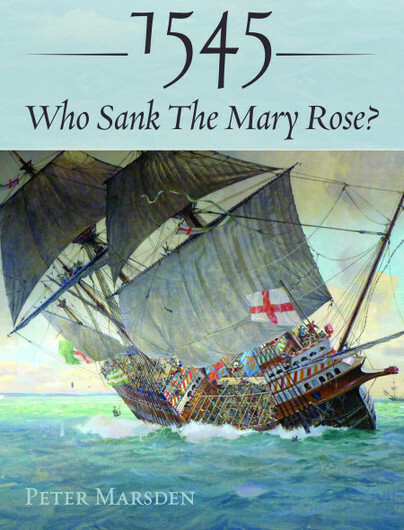 Finally, the author makes it clear who was responsible for the loss of the Mary Rose, after describing what happened onboard, deck by deck, in her last moments afloat. The fascinating revelation will intrigue the general reader as well as the historian and archaeologist and the book is set to become the last word on the career of this most famous of ships.